The Papua New Guinea National Government through its SME Policy aims to create more Small to Medium Enterprises in the future, but it will have to do a lot more to assist local entrepreneurs overcome some of the challenges they face. Ms. Dessie Bopi, who is the Founder and Owner of Book Net Ltd, said in her line of business of writing educational books for kids in elementary schools, her biggest challenge as a writer and entrepreneur is with the cost involved in printing books. 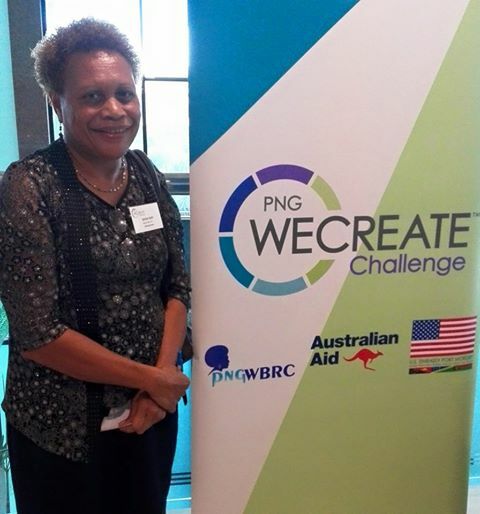 Ms. Bopi, who is also a participant in the current We Create Challenge training workshop in Port Moresby, said the cost of printing is way too high and is something that discourages local writers to write books; however, there should be some measures put in place by the government to support PNG writers when it comes to the cost of printing. “I think the government should subsidise it and many writers have expressed the same, printing in Papua New Guinea is very expensive so most of them go off shore to print,” she said. Ms. Bopi who was a secondary school English teacher for over 20 years, has a passion in writing books for kids and ventured into this business after leaving her teaching work. She already has ten books and is currently looking for an affordable place to print her books. “There should be some special price set aside for people in the business of writing books because they produce reading materials for the reading population and also to educate the young generation,” she added. 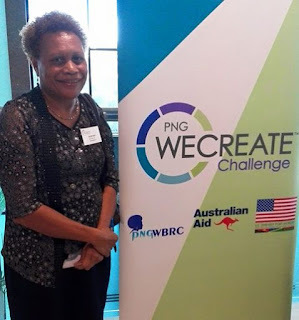 Picture: Ms. Bopi at the PNG WECREATE Challenge held at the Laguna Hotel in Port Moresby.